Everyone should stay away from this weapon and the perimeter which it protects because it can destroy you in seconds from many miles away. The 57mm MK 110 is designed to be mounted on Battleships or space stations however there are rumors of much smaller pirate ships using this weapon also. 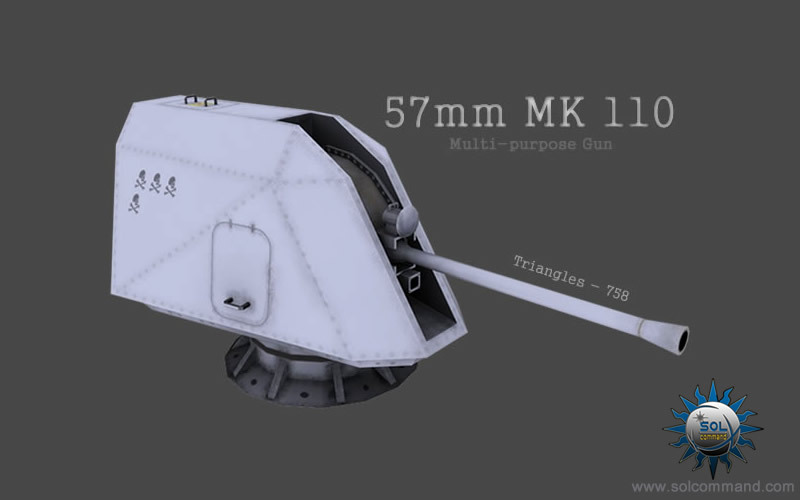 The Mk 110 57 mm gun is a multi-purpose, small caliber gun. Based on the Bofors 57 Mk 3, the Mk 110 can fire salvos at up to 220 rounds per minute, and has a range of 9 miles (~15 km). Current and proposed mounting for the weapon include the United States Coast Guard's National Security Cutter, the upcoming Zumwalt class destroyer, and the new littoral combat ships. To increase lethality and flexibility, the ammunition comes equipped with a smart programmable fuse with six modes: contact, delay, time and 3 proximity fuse modes.